Hey folks. Apologies for the slower updates this month; April’s had a lot going on, but I should have more development time available after this week. The bugs are starting to wind down nicely: most of the ones left / being reported recently are balance or polish issues, rather than critical or systemic, so I’ll be switching over to beginning to work on the remaining Brand-related content soon, including Brand-related Relic Upgrades, Brands spawning on corpse encounters, and new Brand modifiers. Thank you everyone for your help with testing, and for your patience while life’s kept me a bit busier than usual. Zyalin posted another awesome piece of Demon fan art for me to share. 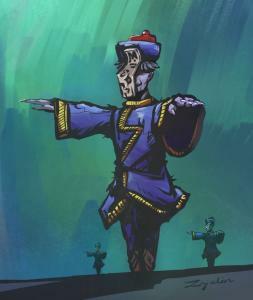 This one depicts Jiang Shi, a Chinese vampire known for using hopping as its main form of locomotion. :D The paper talisman attached to its face is a component of the ritual that creates the Jiang Shi. 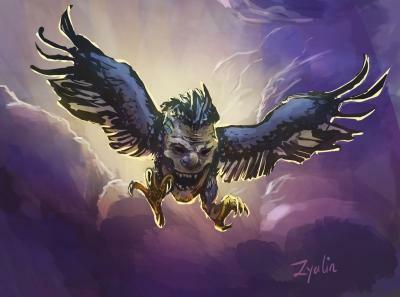 Zyalin recently created another piece of great artwork based off of Demon. This one depicts a Flying Head, a demon that harnesses storms to attack its enemies. Brand Test Build 6 is posted, with lots of new bug fixes and balance tweaks. Enjoy, thanks for all the testing help, and good luck in the Tower! 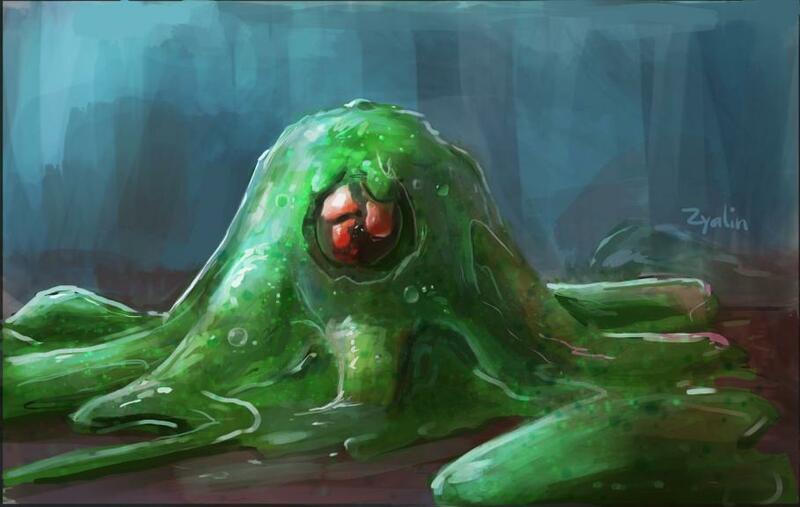 Here’s another awesome piece of fan art by Zyalin, this one of one of the Tower’s Slimes! They don’t seem much like a mere Level 1 demon portrayed like this, do they? Thanks Zyalin!